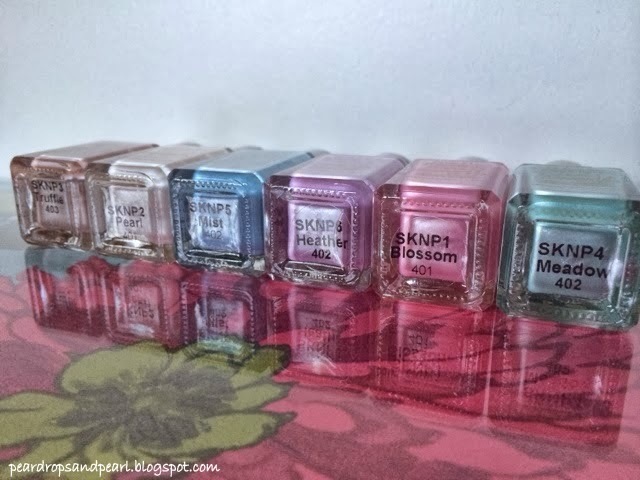 This is just going to be a short post of my thoughts and swatches of these polishes to hit the nail scene. I saw these polishes the other day in boots and thought they looked beautiful. I loved all the colours and thought they would be amazing for spring. So I bought them all ooppps... I believe they only have 6 shades in this line at the moment but I'm sure that they will bring more shades out if they prove to be a hit. I have swatched all of them but not on my nails as I love the shade I'm wearing too much at the moment to change them. I hope this way of swatching is enough for you to see the colour pay of in all of the shades. They look like a brilliant formula, they are a pearlescent polish that creates the look of silk on you nails. I love them and can't wait to actually use some of the polishes on my fingertips. 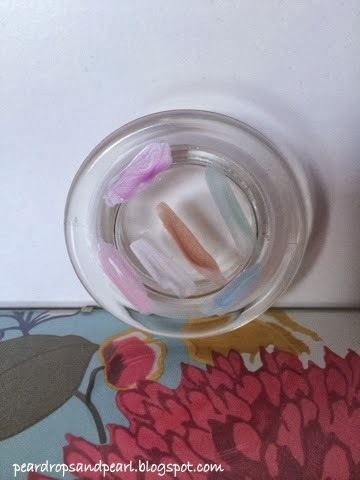 I picked all of the colour up from Boots for £3.99 at the moment they have 3 for 2 on 1000's of products so it worked out that I got two of these for free. The colours left to right are Truffle, Pearl, Mist, Heather, Blossom and Meadow.